I don’t think you’re looking at anything too high tech, like self-stabilizing quad-copters or whatever. It’s just a bunch of super tiny remote controlled helicopters with a 16 ft. range. Their bodies are shaped like Star Wars battleships, like a TIE Fighter or an X-Wing, which is why they’re cool. A 3 minute charge will get them airborne for about 4 minutes. We can’t tell you how precise the controls are, but our guess is: not at all. Still, it might be good enough to keep you entertained for a while, or to introduce kids to Star Wars. They’re $50 a pop, although you’ll have to deal with a product page in Chinese. By Hazel Chua on 01/08/15 • Leave a comment! Drones let you record imagery and capture the world that you otherwise wouldn’t be able to from the ground. 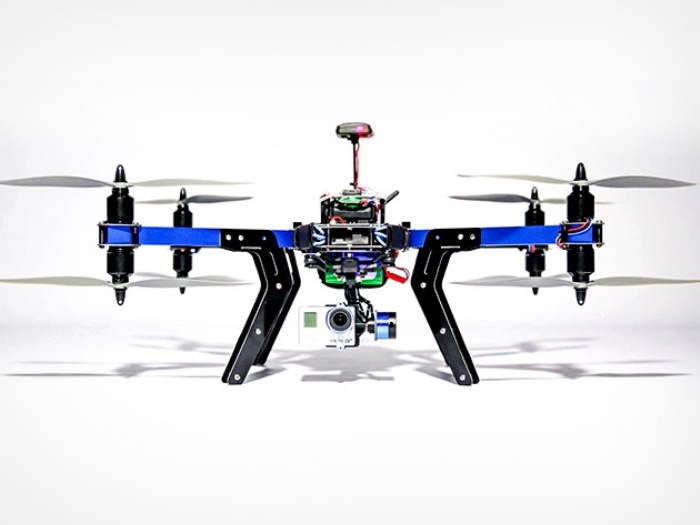 A good option to consider when you’re just starting out with drones is the X8+ Premier Power Drone. It’s a powerful, ready-to-fly and Follow-Me compatible drone that you can use for photography, for art projects, and even for delivering small precious cargo. The X8+ has an expandable platform to carry goods to be delivered or your GoPro. While it can carry up to 1 kg, heavier loads will slow the drone down, so you might want to think twice before loading it up to the max. The X8+ stores flight data so you can generate point clouds for precision surveying and fully-automated flight control makes it easy to fly. The X8+ is available for $1,300. By David Ponce on 12/08/14 • Leave a comment! 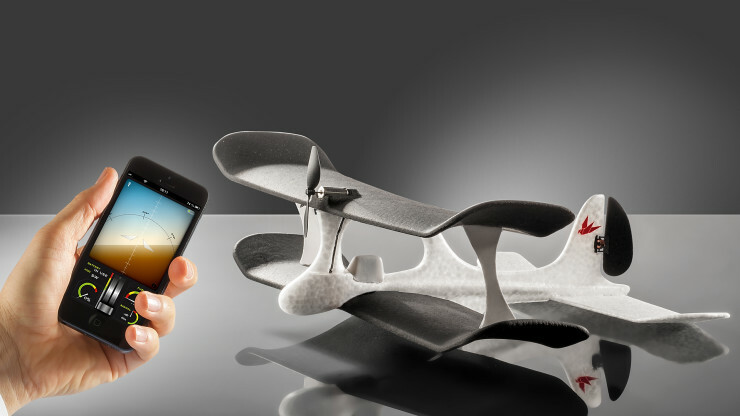 You’re looking at a remote controlled toy plane made out of carbon fiber, which you can steer with your smartphone. The carbon fiber construction means it’s tough and durable, and will withstand crashing into buildings and things repeatedly without taking on damage. The wings are even glued on to the body using super tough “carbon nanotube enhanced epoxy which creates bonds stronger than steel welds.” The long range Bluetooth module gives you a 240ft. range, and about 3 minutes of flight time. 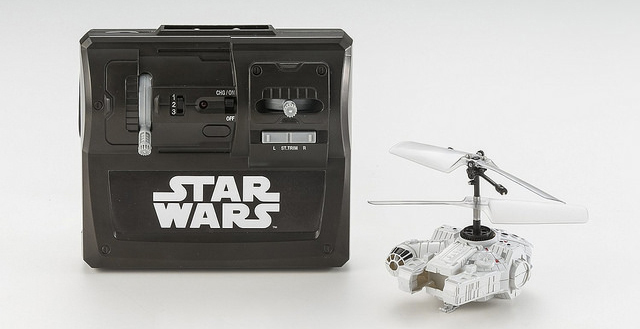 That may not seem like much, but the batteries are hot-swappable, so a pocketful of these and you can fly all evening. Dual high power motors with differential thrust take care of steering, and do away with fragile moving parts. But perhaps most impressively, the Flyers are outfitted with a camera! It’s only 640×480, but that’s still better than 0x0. 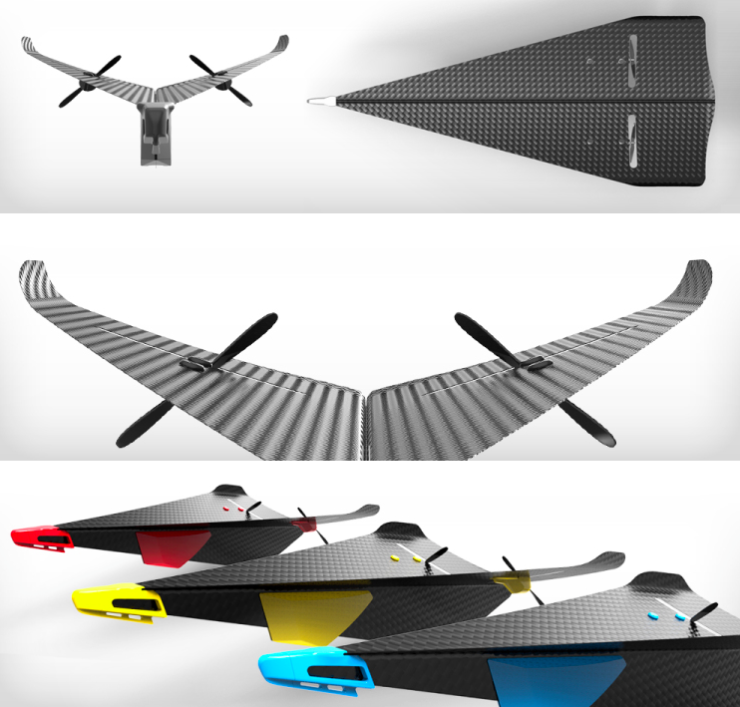 A $99 pledge will get you a Carbon Flyer, with a slated delivery date of August 2015. By Hazel Chua on 02/19/14 • Leave a comment! Owning this mini flying TARDIS won’t transform you into Doctor Who, but it will make you the coolest Whovian on the block. This flying R/C TARDIS is unlike your regular toy helicopter or quadcopter in terms of appearance, but you’ll be able to fly it with no problem at all if you’ve flown other R/C toys before. The miniature TARDIS measures 3 inches in height and takes off and lands vertically. Aside from flying it, you’ll also be able to control its spin. 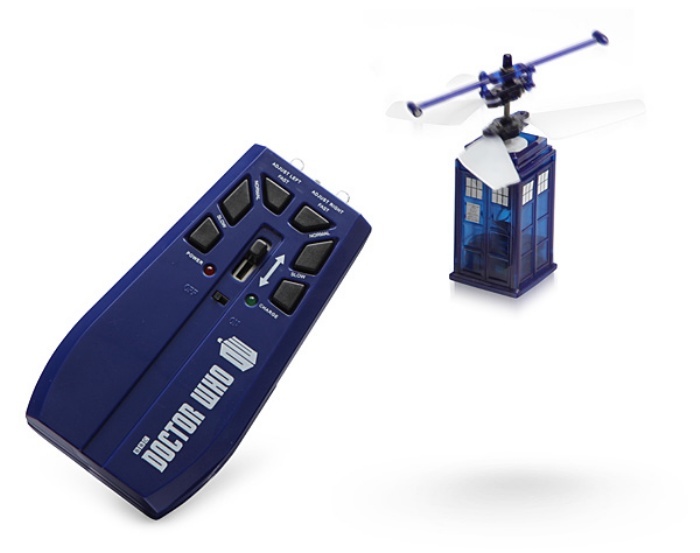 The Doctor Who R/C Flying TARDIS is available online for $49.99. It seems that flying devices with multiple rotors are all the rage these days. This is especially true in light of Amazon’s announcement to deliver your goods using quadcopters in the near future. But there are times when all an RC enthusiast wants is a good old flying plane, one that he can control with the accelerometer in his iPhone. Right? These people exist, don’t they? Because how else to justify asking $94 for the above SmartPlane? Its 1g battery keeps the entire rig light enough to fly for 5 minutes on a 15 minute charge, getting its fully-proportional instructions through your iPhone’s Bluetooth 2.0 connection. On your display you’ll get a horizon, so you can keep the plane flying level, and on-board software takes care of other details that normally make the experience more challenging for beginners. Its construction and relatively low flying speed also mean that the SmartPlane is crash proof and is even safe to use in an office environment. What kind of summer is it when you’re forced to actually move? You’re basking in the sun, and while having suds at your disposal is always great, having to get up to get them isn’t. 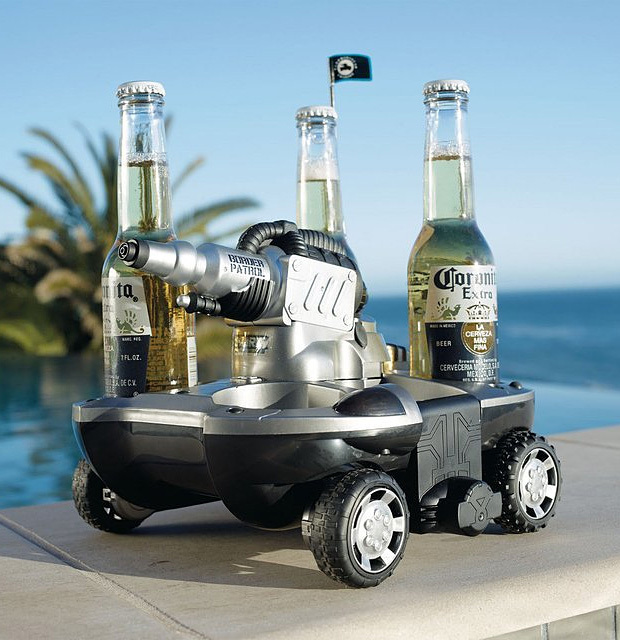 But if you’re equipped with the Electric Amphibious Vehicle by Frontgate, you can always retrieve more bottles without having to do much of anything. There’s room for 4 drinks, as well as a center mounted water cannon should anyone try to take them from you while in transit. Granted, you’re going to need another person to reload it for you, but that’s what friends are for, isn’t it? About 70% of this planet is underwater. As vast as the visible land is, the world that lives hidden from view, under our oceans and lakes, is vastly larger. Exploring it usually requires a pretty substantial amount of effort, but not if you have some money to throw at a remote controlled submersible craft equipped with a quasi-HD camera. 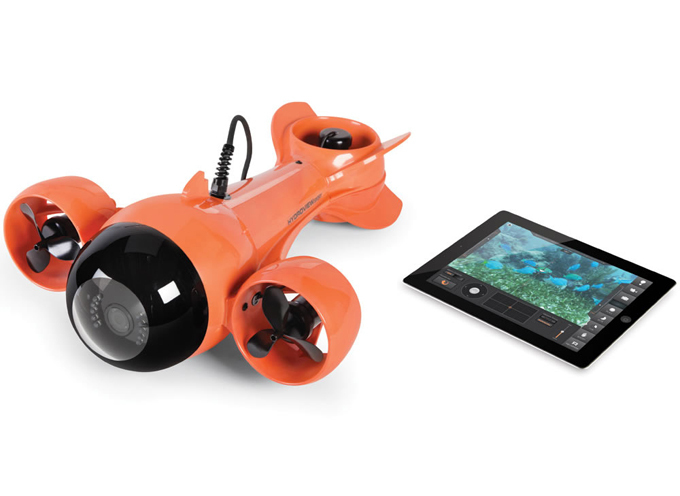 The Submarine Camcorder is a 19″ L x 14 1/2″ W x 7″ H submersible craft in a marine-grade, hydrodynamic ABS housing. It has electric thrust and lift propellers, and is capable of forward/backward (5 kts forward; 1 kt reverse), left/right, and up/down movements. It is tethered to a surface boat by a 100ft. cable, though communication with the device is done through WiFi and an app installed on an iPad, or even a laptop. A 1280 x 720 feed is sent directly to the iPad, where you can take stills or record footage. The virtual dashboard (an iPad’s motion sensors can also steer the sub) includes a joystick, camera controls, and displays depth, heading, battery level, and temperature data received from the sub’s built-in sensors. The Submarine Camcorder is available from Hammacher Schlemmer, which tends to be more of an upscale/pricey sort of retailer. This time is no exception: the thing costs a whopping $6,300. 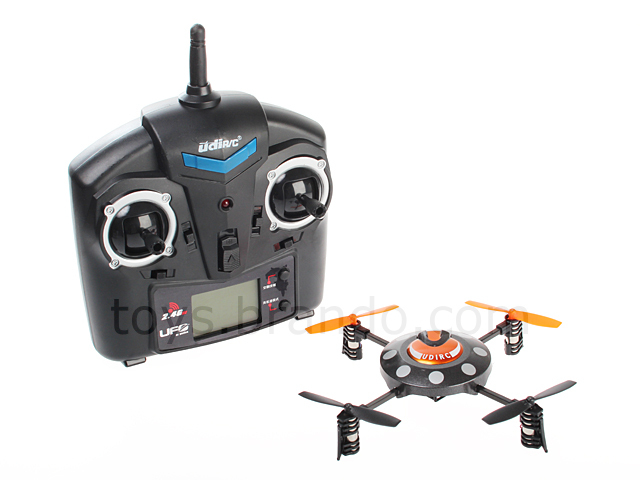 Is A Ball-Dropping Ability Enough To Make This RC Heli-Drone Stand Out? It looks like over the last couple of years the technology for self-stabilizing RC helicopters has reached a point of maturity. Or at the very least, a cost that makes it so that it starts appearing everywhere. The latest entrant in this field is hoping to stand out from the others by including the ability to drop a payload on your enemies. 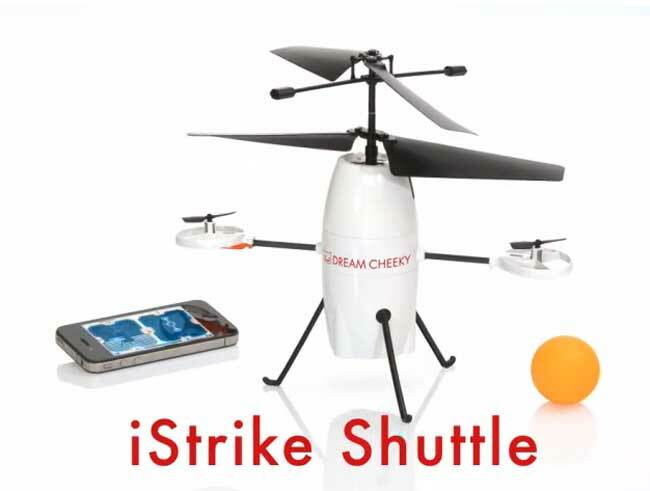 The iOS-controlled coaxial-rotor helicopter iStrike Shuttle features a compartment in its base that is able to lift a ping-pong ball and drop it at the touch of a button. Included gyro stabilizers mean that you should be able to bring it over a co-worker’s head fairly easily and “attack” them when the most suspect it (they’d have to be deaf not to hear the thing coming, after all…). Flight time is around 8 minutes on one charge and a little bit more if you remove the landing stabilizer and ping pong ball. Of course if you do that, you’re left with yet another RC heli drone. At $85, is it worth it? We’re not sure, though it could make an interesting Holiday present. It’s on Kickstarter now, so it’s not even sure to take off, but if it does, delivery would be in December of this year. By Muna Breitem on 08/14/12 • Leave a comment! Seems like quad-rotor copters are popping up everywhere: as taxidermied cats, as flying DeLoreans, as scary flying formations from hell and as an expensive attraction at the last two CESes. That last one refers to Parrot’s A.R. 2 Drone. Admittedly, it’s pretty high tech and fancy. But it’s also $300+. For $49 you can instead get the version from Brando which does pretty much the same things, only with less cowbell. The 6 AXES GYRO RC Somersault UFO even does flips, although it’s controlled through a traditional remote rather than with the iPhone (like the AR Drone). There’s no foam protection like there is on Parrot’s offering and there are quite a few buttons on that remote, which makes it not look quite as intuitive; a crash seems inevitable. But we don’t know. It does have gyro stabilization so hey, let’s not rush to judgement. Seeing as it’s $40, if you break it after 15 minutes, you won’t spend as much time crying about it.